Researching commodity options software, we looked for something that will provide both charting and also a trading platform for trading options on a wide range of commodities such as currencies, energies, financials, indexes, meats, metals and soft foods, to name a few. We've provided a video at the bottom of this page which describes a free service. In the meantime, the following list of resources is worth exploring. Some are free, others you have to pay for. The list of resources below covers a number of different features. for some software packages, the primary focus is a trading platform that shows options prices and allows efficient trade execution; for others, it may be a great market scanning and charting package, others have signal services, others focus on commodity futures and options accounting issues. Provides trading professionals with the highest quality, most comprehensive systems; the cleanest, fastest quotes; incomparable, easy-to-use graphics; peerless performance; and the best customer and technical support in the business. This commodity options software provides the most complete guide to options and futures that you can find. Brings powerful analytical and graphical tools to your fingertips, and contains a comprehensive Applications Guide to Options and Futures. MotiveWave's Charting, Analysis and Trading Platform is designed to make trading and market analysis easier. Advanced easy-to-use charts support analysis techniques including Elliott Wave Theory. Use Multiple Monitors. Trade directly from charts. Neural network trading software for anyone trading stocks, bonds, futures, commodities, currencies, derivitaves, etc. This financial modeling software works the way traders think and work. Creators of ASCTrend trading software. A universal indicator package which works well for any markets and any time bars. It makes no difference whether the markets are commodities, bonds, stocks, currencies, or any other freely traded market. The ATS-3200 is a long term weekly trading system for US T-Bonds. Free demo. A powerful, comprehensive, professional trading program. A true 32-bit Windows application. Some of the more useful features are the built-in macros, the options on charting specific contracts and the capability to fill in missing ticks instantly. Offers BioComp Profit, neural network based market timing software which optimizes its models based on profitiability. Charting, trading reports, timing signals all aid the trader in making profitable market moves. See models in action at the BioComp website. Bryce Gilmore, author of the Geometry of Markets books, has created WaveTrader Software to apply the techniques of WD Gann and RN Elliott on any freely traded market. The comprehensive back-office futures, options and metals trading system, complemented by a full range of support, disaster recovery, price-feed supply, bureau and training services. Allows a trader to use Omega TradeStation (4 & 2000i) and Equis MetaStock Pro (6.52 & 7.0) with data feeds that are not supported by these programs originally. There is now a low priced accounting and record keeping commodity options software program that shows you at any time exactly how much money you are making or losing. "Electric Scorecard II" shows your Profit and Loss on each and every trade you make for the entire year. Offers unique software development tools for creating custom trading systems. Includes TA charting, specialized axes, etc. all optimized for real-time trading. Our leading online trading/internet futures and options execution system utilizes SPYDER Technology... integrated, overlapping, multiple system order routing that is fully reliable through redundancy... for private and professional traders who cannot permit system failure. Since 1979, Market Technologies Corporation, under the direction of its founder, Louis B. Mendelsohn, has pioneered the development of technical analysis trading tools for the commodity futures markets. Computerized Day Trading System. 2MinuteTrader predicts daily buy and sell prices for S&P Futures. No need to watch the market all day, no other software/data needed. Visit our web site for results. Y2K Compliant. The only software that automatically tests 120 systems for accuracy in the current market, and then generates daily buy and sell signals. It also provides charts, backtests, online trading, and portfolio management. ProTradersRT Worksheet is the only realtime spreadsheet available that also delivers true spreadsheet features such as absolute and relative cell addressing and use of 130 worksheet functions in realtime. Home of Millennium the only trading software with built in systems, available with or without systems and data service. No guesswork, no math, no "simple" language to learn. Free trial and quotes in multiple formats. QuoteData... signaling the way to financial security. Free graphing software for technical analysis of stocks and commodities for Win/Dos or Linux. Includes source code under GP license. PointsAhead software is a technical analysis and charting package for only $10. It's a great toolbox for investors of all calibers. Also, free analysis, end-of-day quotes, end-of-day 1 minute intraday snapshot quotes. Trading system for stocks & commodities. No programming necessary. No formulas to enter. Totally objective. 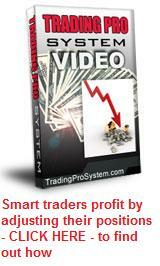 TradeAdvisor automatically generates charts and trading signals. Browser-based system software for 100% systematic investment portfolio management. The service, based on the TurtleTrader course that has been sold globally for the past three years, includes all applicable data and charts. A leading supplier of technical futures trading signals systems with analysis of 51 futures markets. Portfolio analysis, live Java charting, seasonal studies and more. Financial analysis and investment software that combines traditional technical indicators with state-of-the-art neural network and genetic algorithm technologies to create remarkably effective trading models for stocks, options and futures. Used by thousands of Apple Macintosh based traders and investors around the world. Reviewed and praised by leading financial publications including Barron's, Futures Magazine and Stocks & Commodities Magazine. Software labels the XY-Z turning point (detected using artificial intelligence) that marks the begining of price trends - the secret of the big moves used by winning traders. Tracks 35 commodities daily. Not another "mechanical trading system." When it comes to commodity options software, we should bear in mind that commodity futures options are not like stock options. While stock options are simple in nature - one option contract covers 100 underlying shares, commodity options are not so. This is because the underlying asset can be measured in barrels, kilos, pounds, tonnes, bushels, cwt, gallons and BTU's. Each commodity unit has its own unique relationship to the options that cover them. This being the case, the best commodity options software will include risk graph and profit analysis. Finally, here is a video you may find helpful. It describes some free Commodity Options Software and takes you through the various ways you can us it.